Blog > Followbright News > Another Top Denver Web Designer Honor for Followbright! 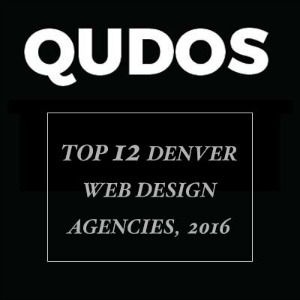 This past week we received notification that we were ranked a Top 12 Denver Web Designer Agency by Qudos. Once again we're humbled and honored to receive recognition like this and be ranked alongside Denver web design agencies over 7x our size. Headquartered in Silicon Valley, Qudos helps businesses looking for various types of agencies (such as PR agencies or web agencies) find the perfect matches for their goals and needs. Their database boasts nearly 200,000 agencies across the United States, so it's a great achievement to be ranked as a top agency by a company that scrutinizes every detail of the businesses to whom they may match their customers.